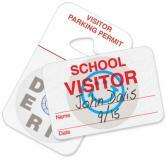 Badge accessories are essential to enforce a successful ID card program. 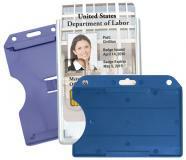 Turn your ID cards into secure and durable tools by displaying them properly. We stock a large inventory of all types of badge accessories such as badge holders, badge reels, lanyards, clips and magnets, neckwear and wristwear, photo ID accessories and strap clips. Get durable lanyards for your events, badge holders for your employee badges, or badge reels for your students at the best prices. Do you need unique lanyards or badge reels? We can customize them for you! 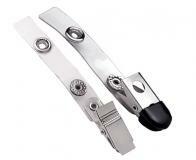 Add your logo to promote your company and enhance your brand image. WHICH BADGE ACCESSORIES DO YOU OFFER? 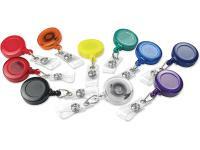 Badge Reels: attach your ID card to clothing or bags with our line of colorful retractable badge reels. Their unique 'pull' system is perfect for an easy access to your badges. CAN I CUSTOMIZE MY BADGE ACCESSORIES? Yes! 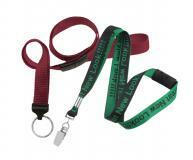 We offer a full line of badge reels and lanyards that can be customized with your logo or other company information. Browse our large selection of colorful and durable lanyards and badge reels, send us your graphics and you will get superior print quality at the best prices. 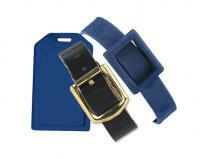 Custom badge accessories are powerful tools to promote your company and reinforce your brand image. Potential customers can easily identify your company by knowing at a glance who you are. If you have questions, call us at 1-800-897-7024 and we will answer all your questions.